November 1, 2010 – The latest orchestrated attacks on our innocent and vulnerable Assyrian Christian brethren in Iraq is a stark reminder of the dawning of a new era for our beleaguered and languished Nation. A modern-Assyrian era besieged with land annexation, voter disenfranchisement, internal religious strife, foreign promises and manipulation of our pursuit towards self Governing, and the declaration of “jihad” by the barbaric Islamic fundamentalists — Al-Qaeda. It is excruciating not to ponder the state of our modern affairs, the state of our progress, and the state of our future. The light shining upon our current state is frighteningly dim. Especially when one accounts for the pain, suffering, and the the amount of blood shed from such a small Nation. A small Nation that has eye witnessed unrelenting numbers of massacres multiple times each century for the past 2,000 years. One begs to ask the question that every concerned member of the Assyrian Nation is afraid to answer — How much longer can a Nation survive under the duress of an explosive exodus, lackluster security in its ancestral lands, and being the newly coined targets of Al-Qaeda? An international terrorist organization with a dossier that includes toppling two skyscrapers in the USA. 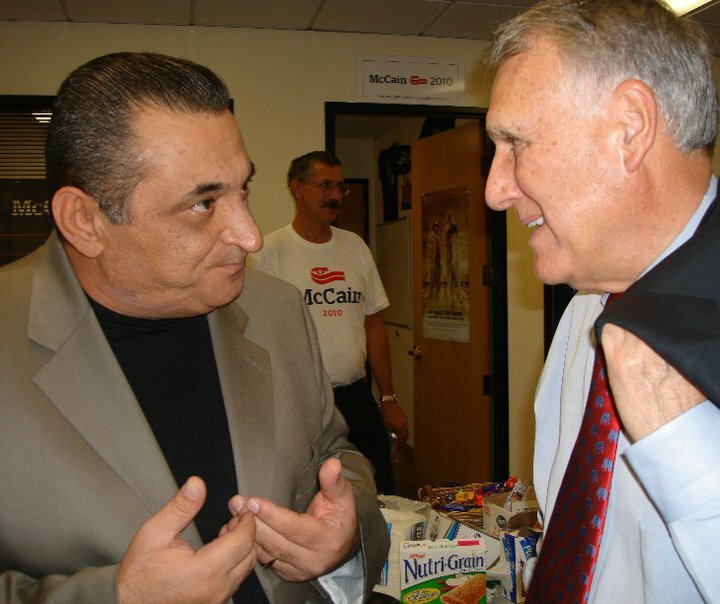 On the following morning of the blackest and bloodiest day in the modern history of our Assyrian Nation, Sam Darmo of Assyrians for Justice met with both Senator John McCain and Senator Jon Kyl of Arizona. He forwarded the burning question of our Nation’s survival and future, in the wake of the 58 slaughtered and 72 maimed Assyrians in the Baghdad Church, to these American leaders. Darmo proceeded in clarifying that the recent attacks are not isolated and coincidental in nature, but a systematically covert method to rid Iraq of its indigenous Christian minority – parish by parish, village by village. 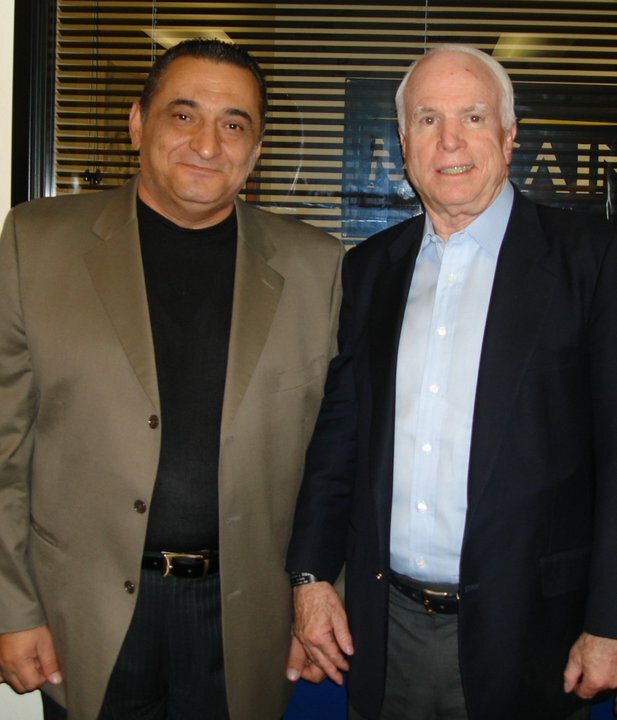 After Senator McCain expressed his condolences and sympathies to our Assyrian nation for such heinous crimes, Darmo explained that we are not a hopeless people and we do have two action items that will sustain not only the survival of our nation, but also the delicate democracy of Iraq that is dependent on a pluralistic demography where the status of its minorities is the litmus test of its success. Darmo laid out two proposals for American lawmakers who would like to befriend the Assyrian nation to focus on. 1. Establish a police force and counter-terrorism taskforce, manned by Assyrians, and funded by the Iraqi government to oversee and protect Assyrian Christian pockets and places of interest in coordination with Iraqi forces. 2. Advocate for an establishment of an Assyrian Christian Province or Reigon, as outlined and in accordance to the Iraqi Constitution. Darmo provided information and personal stories that highlighted the ongoing and vicious attacks on the Assyrian Christians. He also explained that the Iraqi war, without intervention in the near future, will be a catalyst to the destruction and annihilation of the entire Assyrian people. A people, he emphasized, that dawned the world with the first code of laws is now facing injustice, neglect, apathy, and extinction. Senator McCain assured Darmo and Assyrian Americans that this will be one of his top agenda items for his upcoming trip to Iraq. Senator Jon Kyl also reassured Darmo that he will personally study this dire state afflicting the indigenous Assyrians in Iraq and present the action items to his colleagues in the Senate. Darmo thanked them and replied that he is looking forward to following up with both Senators and thanked them for their interest and charity for the plight of the Assyrian nation. Due to the uploaded videos being near HD Quality–streaming times will take longer, please be patient! 1- AFJ Special Report on the Annexation of Assyrian Lands in Bet-Nahrain, North Iraq. 2- Part 1: Exposing Saddam Hussein’s Intelligence Agency, specifically the Department on Assyrian Affairs. Exposing Assyrians that cooperated and aided Saddam’s Intelligence Agency’ espionage and defamation on the Assyrian Nation. 3- Part 2: Exposing Saddam Hussein’s Intelligence Agency’s Department of Assyrian Affairs and those Assyrian that cooperated with this Espionage against their Nation. 2- 2010 Iraqi Election Results & Analysis – Congratulations to Assyrian Democratic Movement Slate 389 for winning the most seats for Assyrian Representation! 3- Mark “ASSYRIAN” for US 2010 Census! 2- H.H. Mar Dinkha IV on the Iraqi Elections and the Assyrian Political Parties. Join us @ AFJ Facebook!